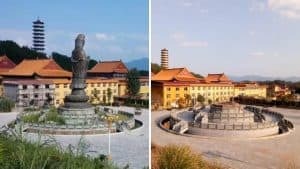 In the topsy-turvy world that Communist China is becoming, Up is Down, False is True, and Poverty can be solved by destroying the possessions of the poor. It seems like everything is backwards in today’s China. The latest example would be comical if it were not such a tragedy for those directly affected: to create the appearance of “poverty alleviation,” authorities are demolishing the homes of impoverished elderly people. Ms. Zhao, a woman in her seventies who lives in a village in Huaiyang county, in Henan province in central China, experienced this brutal poverty alleviation firsthand. She was returning to her home on her tricycle, only to find that her house had turned into a pile of ruins. An excavator is demolishing the house of an impoverished elderly. 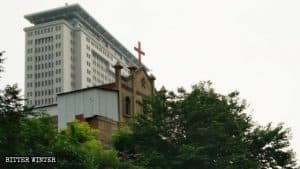 Prior to this, government personnel from the local Poverty Alleviation Office had demanded that Ms. Zhao leave her house and move in with her son. 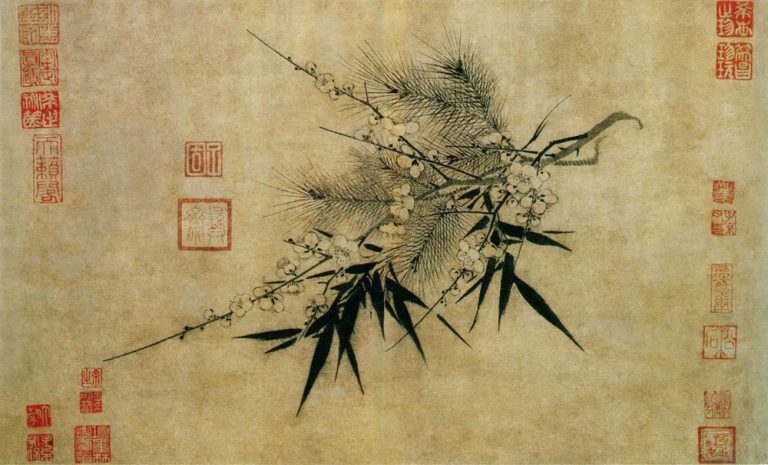 Ms. Zhao worried that it was easy to slip and fall on the tile floor of her son’s home, so she was unwilling to move. She didn’t expect the government to demolish her house while she was away. Mr. Liu and his wife from Huaiyang county, also “benefitted” from poverty alleviation by losing everything they had. Their house had been first sealed and later torn down. They didn’t even have time to move the supplies out of their kitchen. That is very quick poverty reduction. 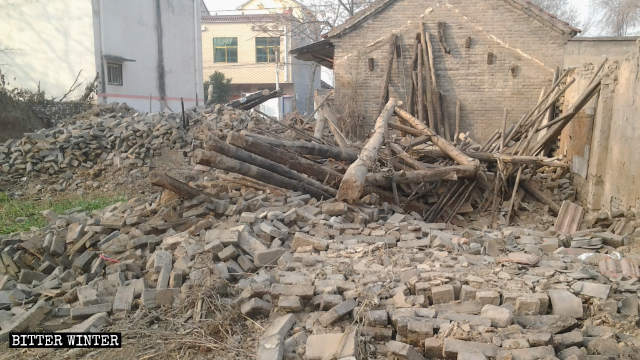 In December 2018, similar forced demolition incidents occurred in every village in Huaiyang county. 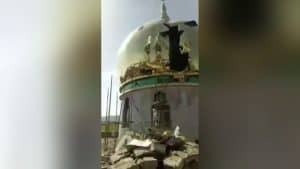 The house of an impoverished elderly person has been turned into ruins. 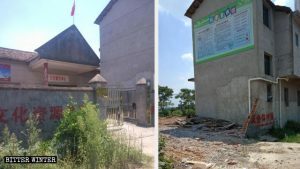 Some of what appears to be driving the demolition movement is the desire on the part of local bureaucrats to look good in front of their superiors. 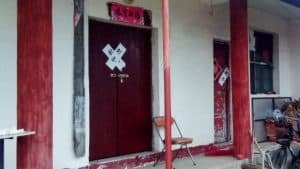 In preparation for inspections by higher authorities, local officials demolished some houses simply for looking old and shabby. 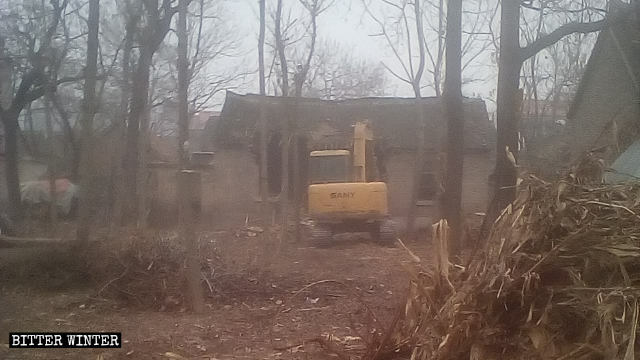 In December, officials in a village in Huaiyang county brought in an excavator to demolish the house in which an octogenarian named Wang lived alone. 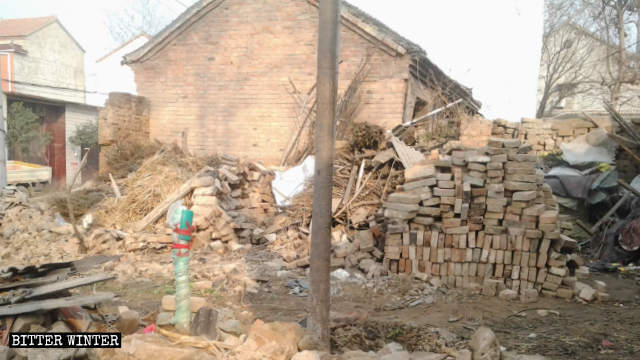 Hundreds of houses were destroyed in Huaiyang county as part of “poverty alleviation” policy. Another poor older woman, the 64-year old Ms. Xie, had no choice but to personally tear down her own house. When the demolition workers hired by the government arrived to demolish her house, they asked her to pay their wages. Unfortunately, Ms. Xie’s income from farming is not enough to cover her own personal expenses. She is so frugal that she rarely buys groceries. “I wanted to demolish it myself so that I could keep some tiles. Perhaps I will still have a chance to use them when building a house in the future,” said Ms. Xie. On December 13, Liu Yongfu, director of the State Council’s Office of Poverty Alleviation, announced at a State Council Information Office meeting that 300 poverty-stricken counties will be “rehabilitated” in 2019. Huaiyang county has suffered greatly for the cause of poverty alleviation. An additional 300 counties rehabilitated under the perverse logic of the Chinese Communist Party can only mean thousands of homes destroyed, and millions in value taken from poor people. For their own good, of course.